Well, today we’ll try to overcome that. Let’s dig a little deeper and learn some more prepositions that are used to denote the place or location of an object. 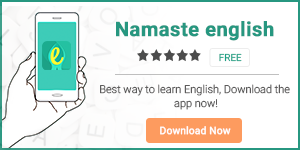 Don’t forget to download our apps Namaste English and HinKhoj.